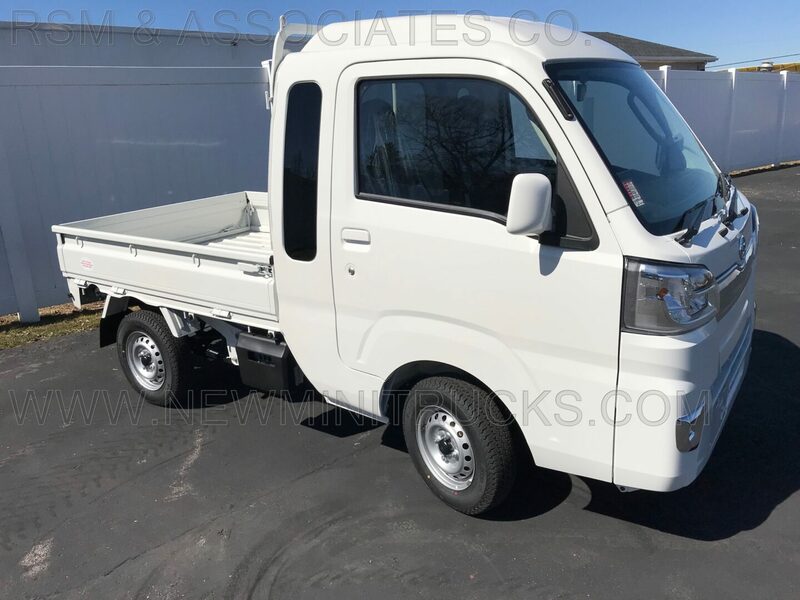 3589 Low Speed Vehicles Street Legal Minitruck Japanese Kei 2019 Daihatsu Summit X Cab LS 4WD, Extended Cab, New, AC, Automatic, Registration Guaranteed | RSM & Associates Co.
One of two in stock now-2019 Daihatsu Summit X Cab LS, road legal low speed vehicle, registration guaranteed. 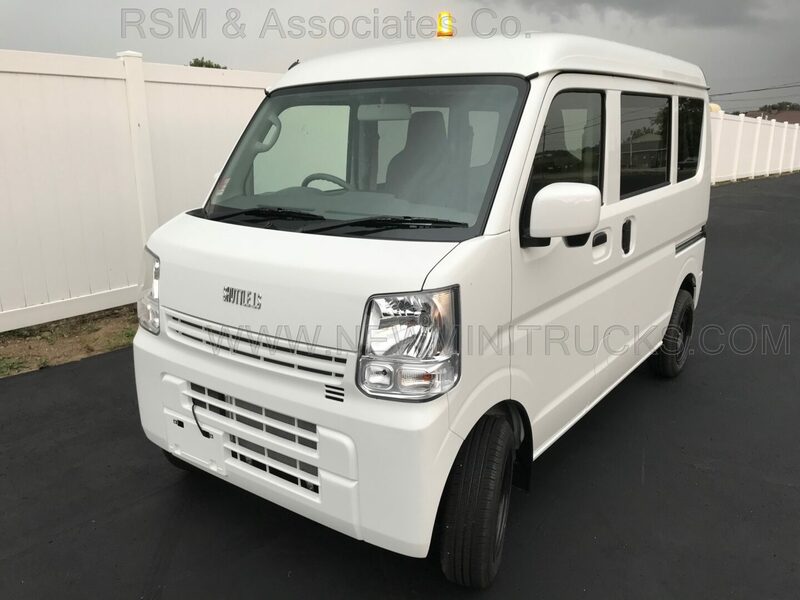 This is a Summit X Cab made by Daihatsu Motor Company of Japan and it is equipped with power windows, door locks, keyless entry and cloth seats. 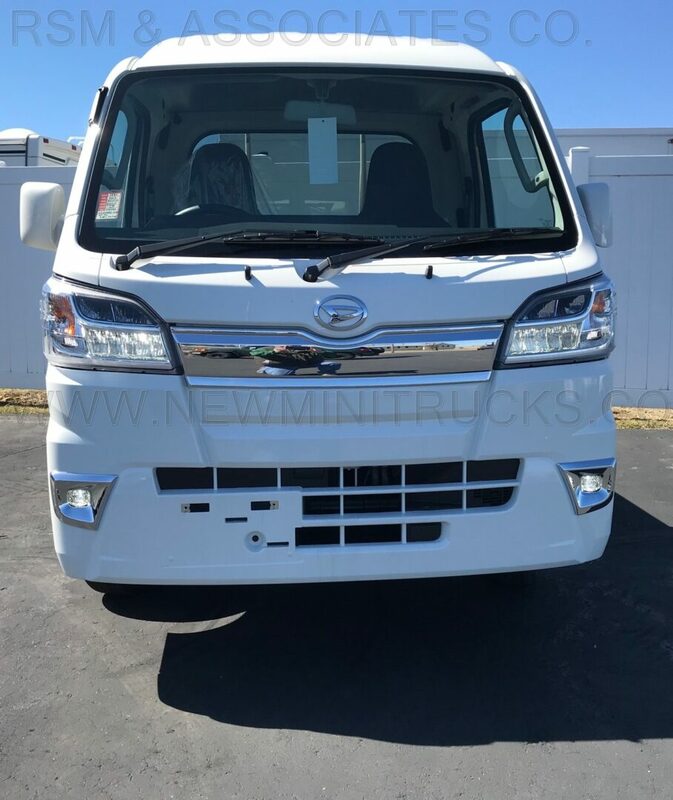 It also has fog lights, rear deck lights and a power outlet for charging your phone or GPS device. We have one option that we offer on the X cabs to give you more knee room. 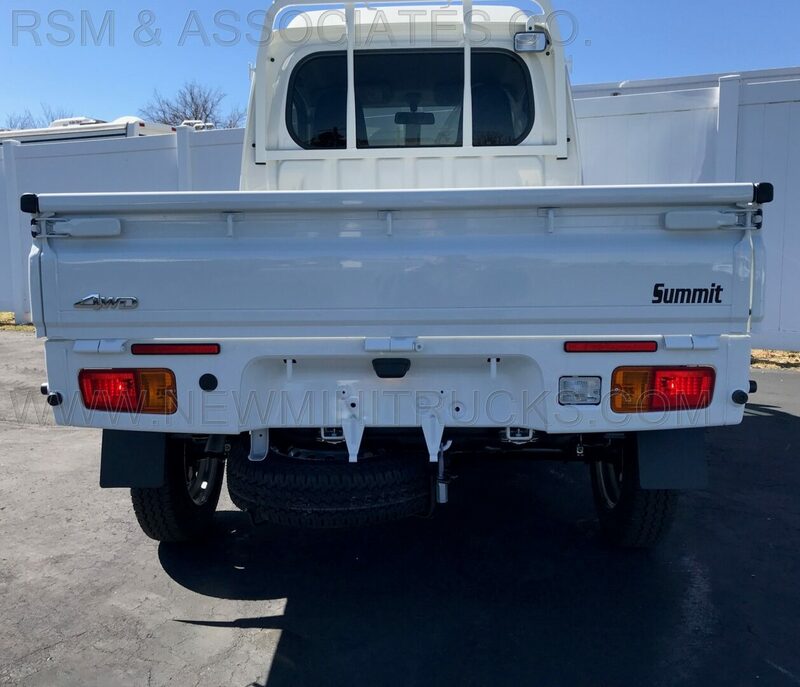 The Summit X Cab normally does not give you more knee room than the standard truck because the manufacturers use the same parts as used on the standard cab so it ends up with the same room even though there is about three inches of space until the back of the seat touches the raised portion of the extended cab. We have changed this set up various ways over the years and we have found a specially designed frame that works the best. We install this in place of the factory frame and this allows the seat to scoot back further. 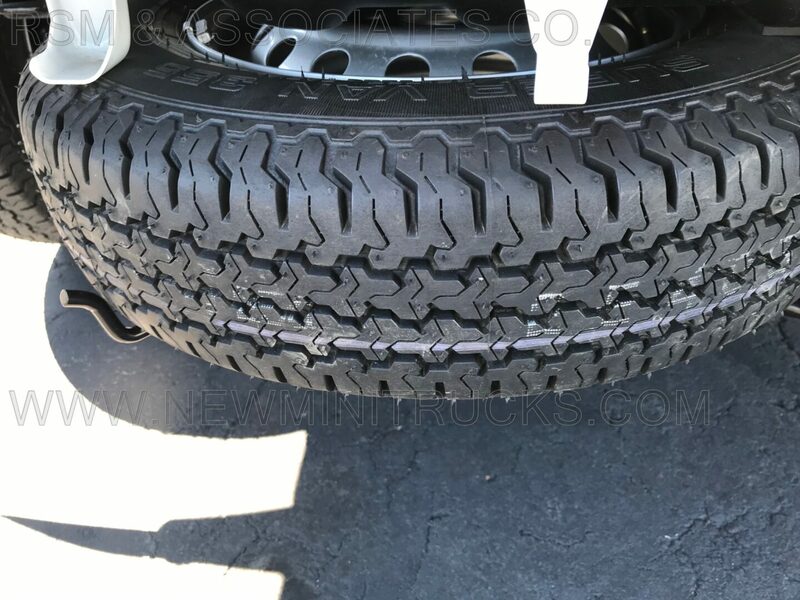 The cost is $325 for the drivers side or $550 for both. 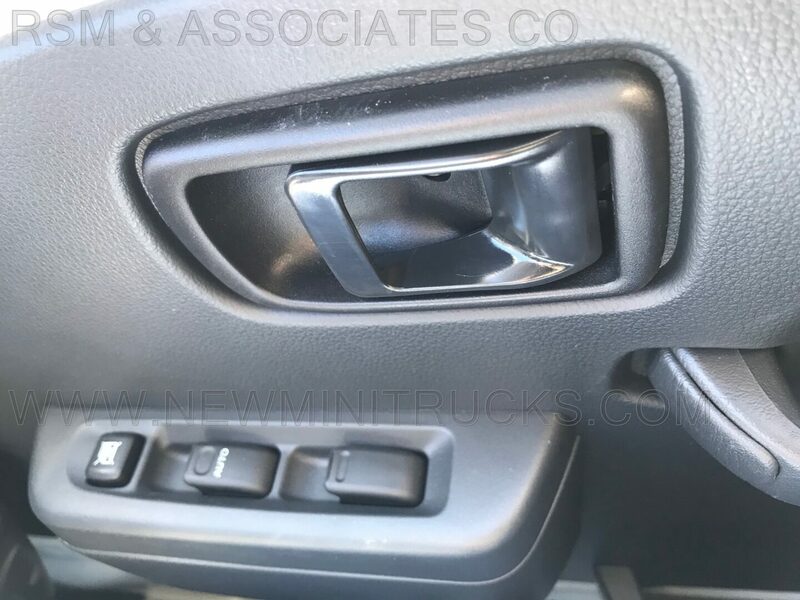 This truck also has, color matching mirrors, as well as keyless entry, driver and passenger drink holders, change slots and map holders. The bed has the standard one-half ton capacity and the motor achieves 42 miles per gallon. 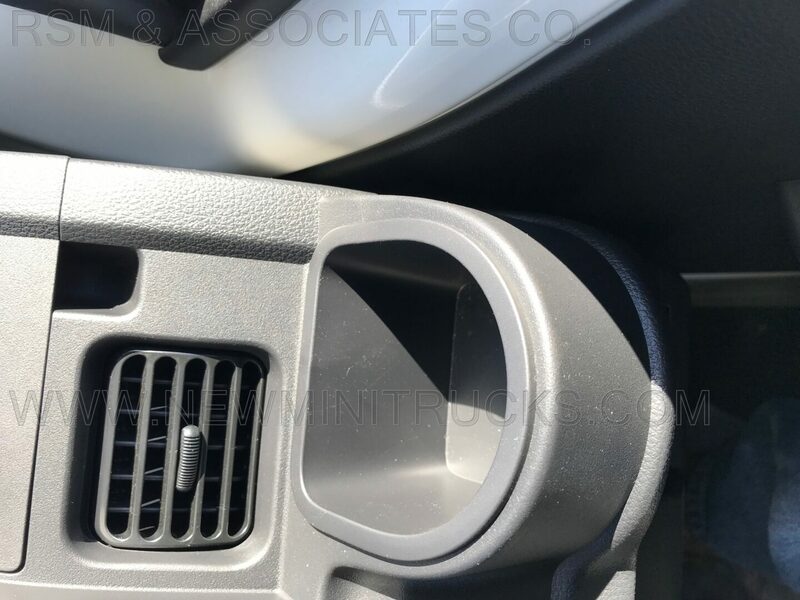 All our trucks that are newer than 2011 have air conditioning. 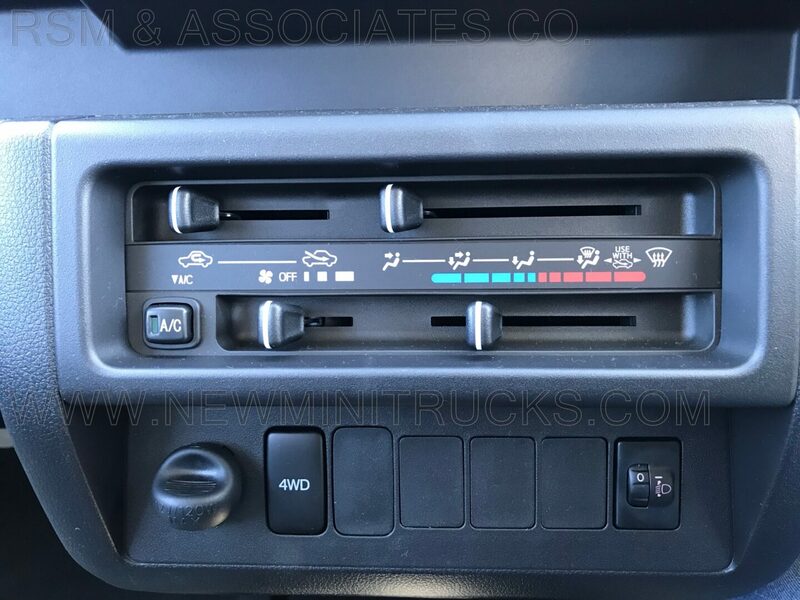 All trucks have heat. 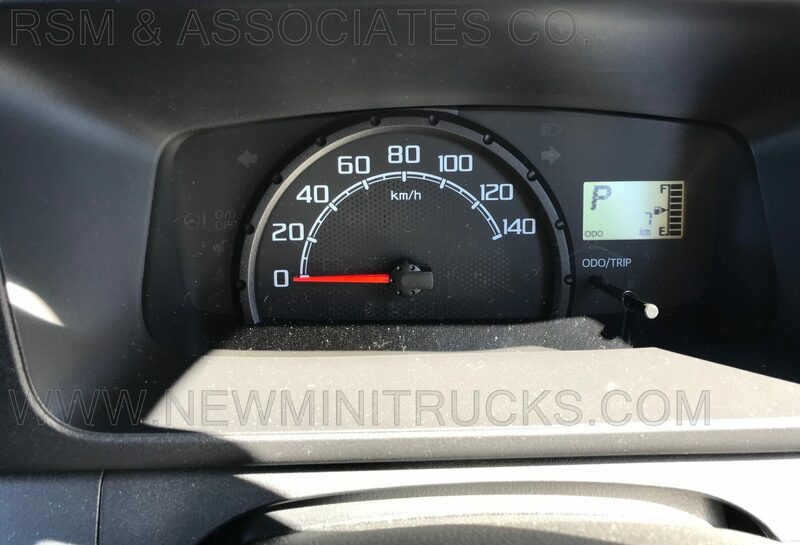 This truck also has, power steering, 4WD and automatic front axle lock. New as new can be! 4 miles! $21,900 $494 delivery anywhere except AK and HI which will be a bit more. Remember we can take any trade!! Two year power-train warranty protection. Always Fresh Oil-Any vehicle you buy, new or used is always freshly serviced. We do the work so you don’t have to. Japanese Band Radio-Ask us to replace it with a US Band CD radio so you get all the stations. Air Conditioning-Keep cool in a utility vehicle that burns 1 pint an hour in fuel! Scissor Lift/Dumping Tray: Lifts bed to 72 inches (1000 lbs. MAX). Load stabilizers included. Ask about our Combo Deal! 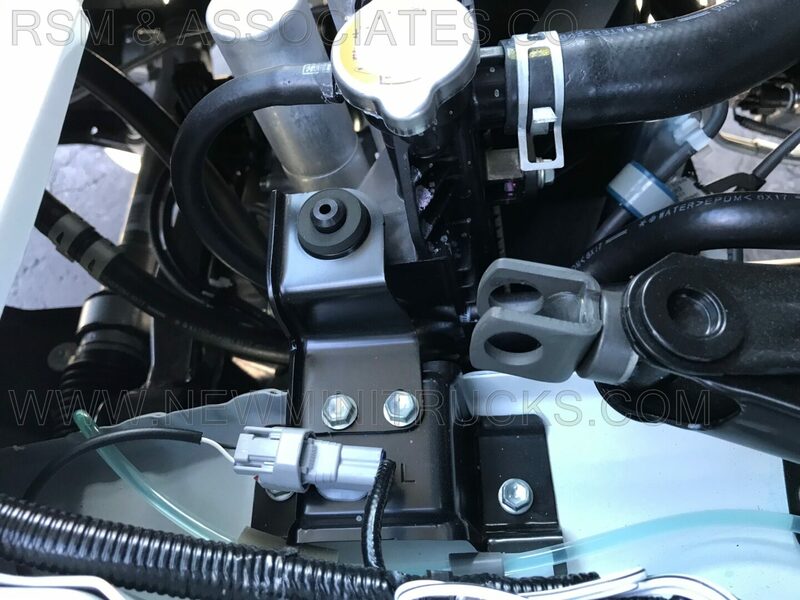 LSV/MSVs are specifically manufactured to meet federal safety standards, which include limiting the vehicles maximum speed and other requirements. Canada has LSVs but they have to be electric driven and they cannot "use fuel as an on-board source of energy". 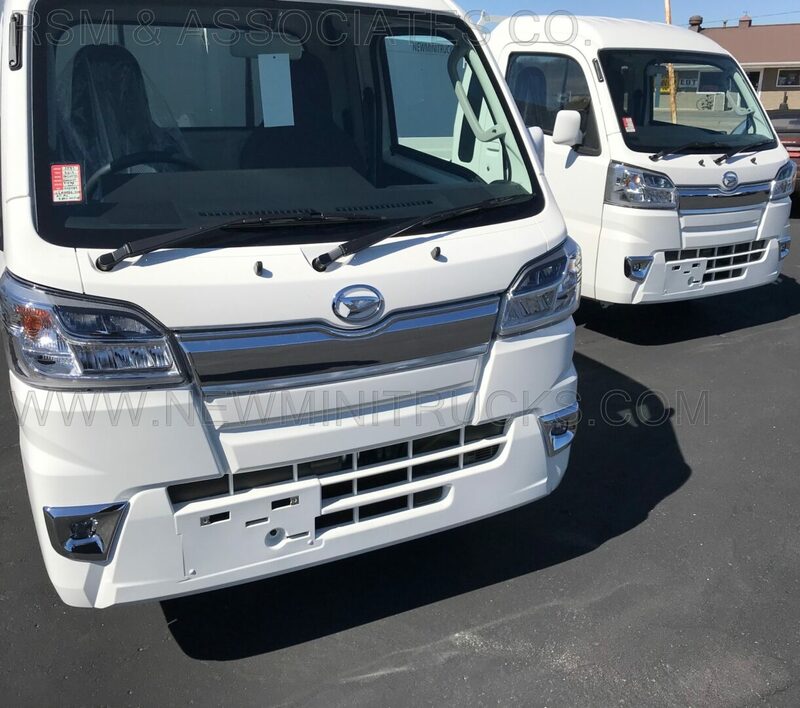 The LSV (or Low Speed Vehicle) classification is part of the Federal Motor Vehicle Safety Standards Rule Part 500 that permits vehicles meeting certain weight, speed and safety requirements to be licensed for limited road use. What documents should you get with an LSV/MSV vehicle purchase? 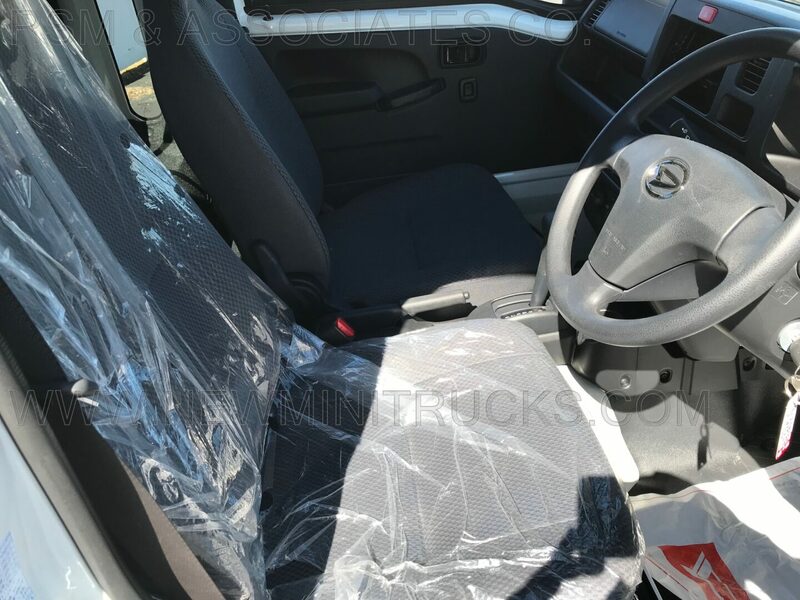 LSV/MSV vehicles are sold with an MCO or Manufacturer’s Certificate of Origin or Manufacturer’s Statement of Origin (MSO), invoice and a Federal Motor Vehicle Safety Standards label affixed to the driver's door sill area, along with a 17 digit VIN that also conforms to FMVSS codes. 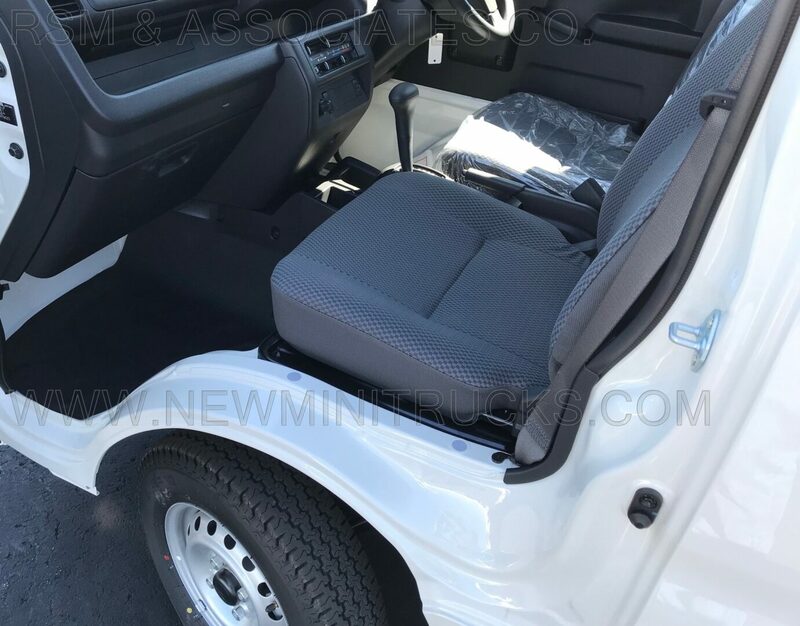 (For more on what the VIN should look like look for the question "How can I tell if I am buying a legally imported LSV that meets Federal Motor Vehicle Safety Standards"). Some states require an odometer certification statement which we will also supply. If you live in a state that does not have a sales tax we will not charge you for it. 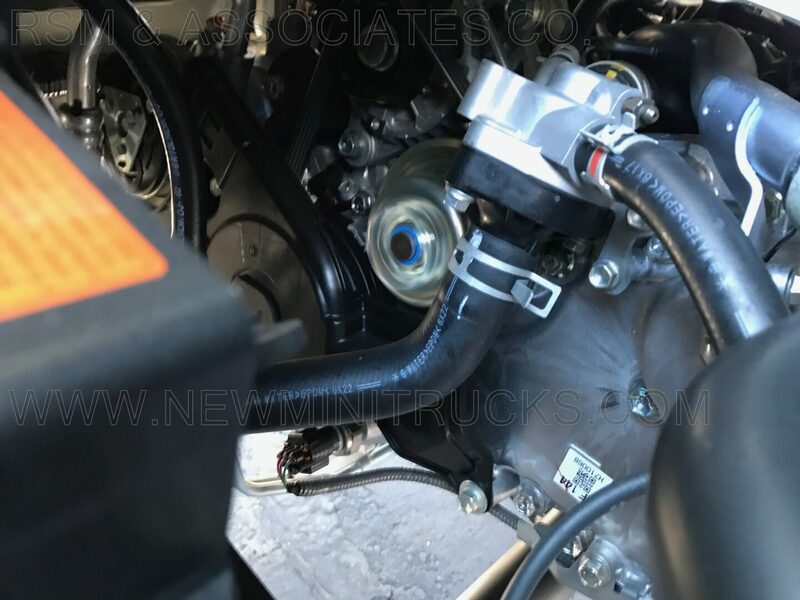 Your new vehicle comes with a two year powertrain warranty that covers the engine, transmission and any internally lubricated part. 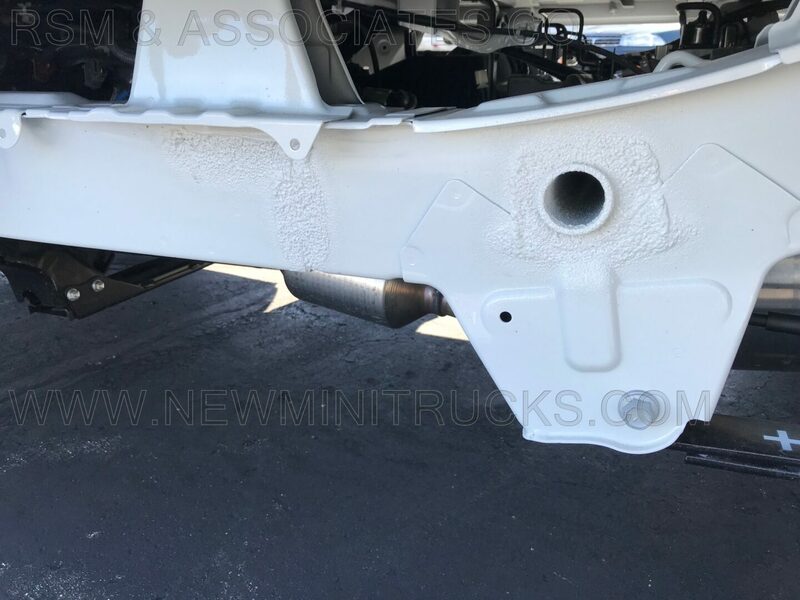 In addition we inspect everything from the top to the bottom starting from when we buy it to make sure your truck is just what you expect. If something comes up that we miss, please call or contact us and let us know. Can I drive in with my own trailer and pick it myself? As builder Bob says, "Yes you can!" Who will I call when I need parts? What about the owner’s manual? Is it in English? Any new vehicle we sell will come with a translated owner’s manual by Trebor Snetram. If you search his name you will find some of the manuals he has done for us. Trebor has a sense of humor and just when you think you are going to go to sleep by reading the text, he puts something in there about avoiding "person-hole-covers" instead of man-hole covers and you stop and laugh. What are some of the main advantages of buying a LSV or MSV vehicle? 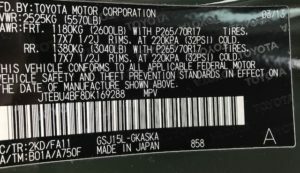 How can I tell if I am buying a legally imported LSV that meets Federal Motor Vehicle Safety Standards? Here are three main items to check. The vehicle will have an emissions decal. 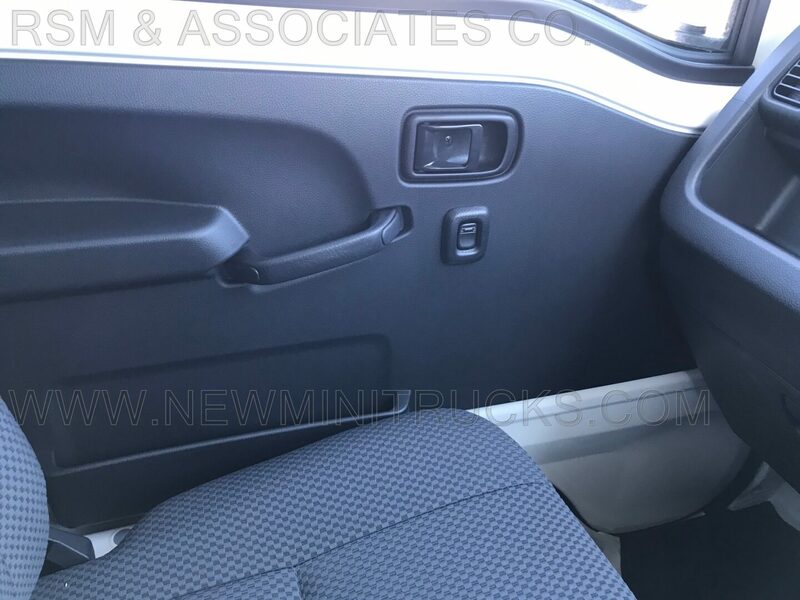 The vehicle will have what is called a conforming VIN number and these numbers will be displayed on the left side of the dash that you will be able to see through the windshield glass. You must be able to see it through the glass to comply with this part of the federal code. The VIN will also be posted on at least three other locations on your LSV. NOT like this. And why organizations are switching to road legal Low Speed Vehicles. If the VIN number of your “Low Speed Vehicle” has a bunch of zeros before or after the characters then you probably do not have a Low Speed Vehicle with a legitimate VIN. S510P013454700000 OR 000S510P013454700 OR 00S510P0134547000, do you see what I mean? 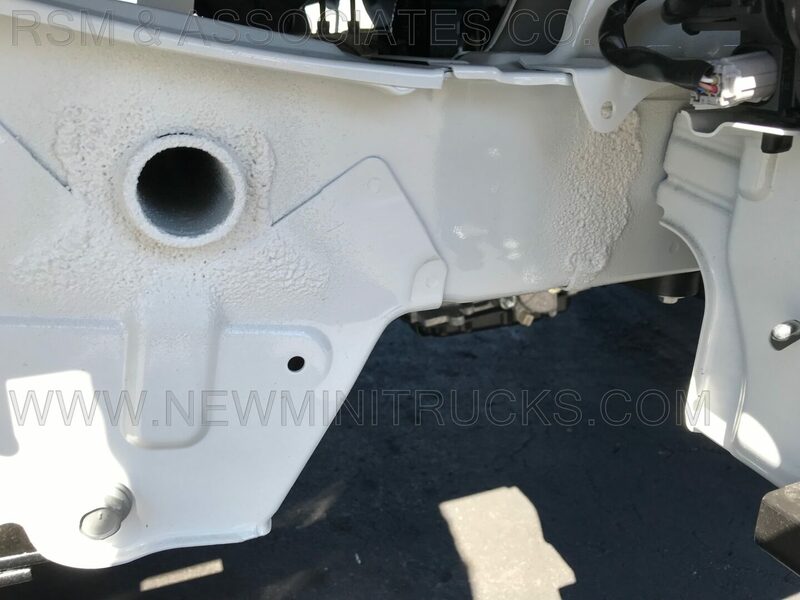 Low speed vehicles must conform to Federal Motor Vehicle Safety Standards, Part 565 which outlines all of the requirements of the vehicle identification number. This part of the code breaks out and defines all characters of the VIN. Each character of the VIN number means something, for example the tenth number from the left is the character that represents the year of manufacturer. Other numbers represent the manufacturer, fuel type, model and production numbers among other things. There is even a character that varies according to the summation of the numerical values and it is called a check digit. The check digit is used to keep people from just pulling 17 numbers out of the air and writing them as your VIN. This label, tells you who made the vehicle, when it was made, the weight, tire and rim size and other required items. This label is always on the driver’s side door sill area. If you do not see this label, OR your VIN has a bunch of zeros in it OR you can’t find an emissions label, you most likely do not have a legal conforming low speed vehicle. This example has a bar code or UPC code. The UPC code is not required. 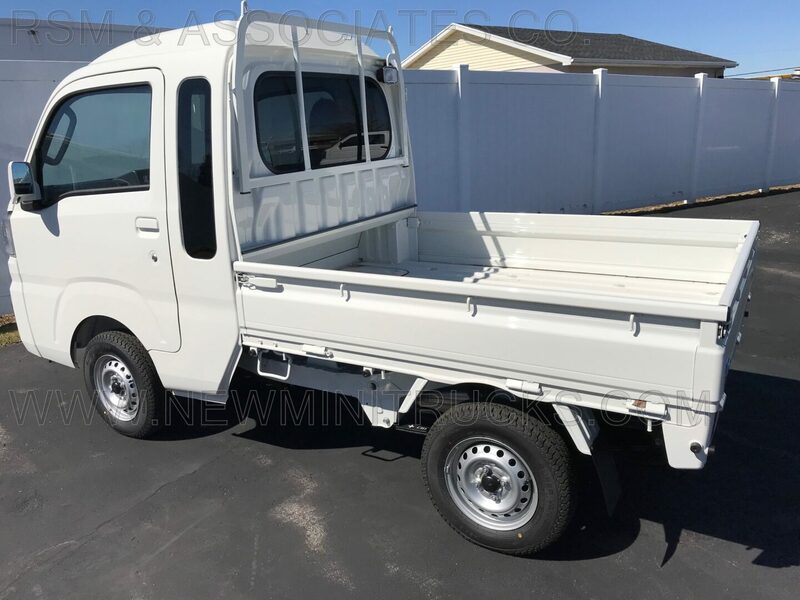 There are other requirements that separate a legal low speed vehicle from a side by side utility vehicle or just a standard mini-truck. A low speed vehicle will have a maximum speed of 25 MPH. This maximum speed will be electronically set and permanent. You will not be able to change it after you purchase it. If a dealer indicates to you that it can easily be changed after you purchase it, he is violating Federal Motor Vehicle Safety Standards. A medium speed vehicle will have a maximum speed of 26- 49 MPH. For most state laws, the only difference between an LSV and an MSV is the higher speed capability of the MSV. There are usually are not any additional equipment requirements. Please remember to check your own state’s laws on LSV and MSVs. 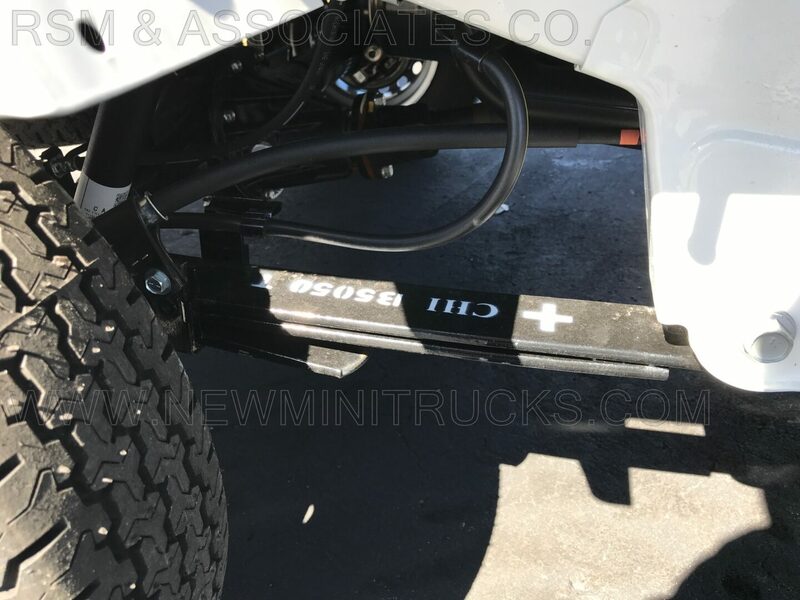 The reason many organizations are going toward road legal LSV vehicles is simple. 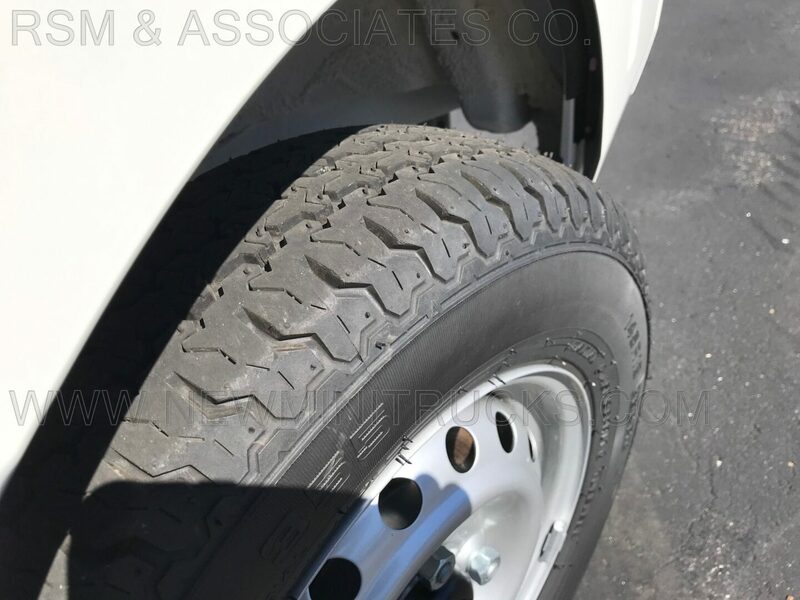 If the vehicle you have your workers use is not licensed or cannot be licensed and you get in an accident on a public roadway and are sued, the first thing that the Plaintiff's attorney is going to ask is, "Why was this vehicle in the roadway or on the road. It has no right to be there." 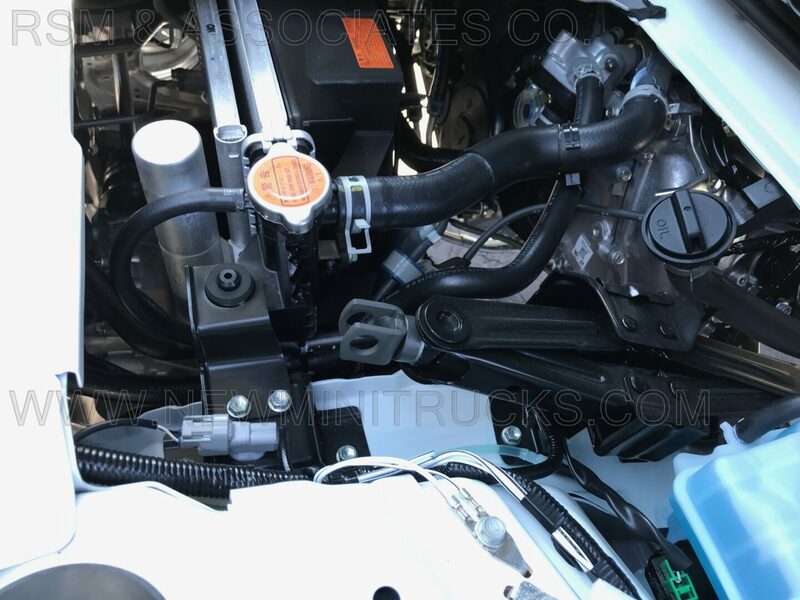 If your vehicle is a conforming Low Speed Vehicle, you simply give the answer, "Our vehicle was in full accordance of Federal Motor Vehicle Safety Standards (FMVSS) for LSV vehicles as demonstrated by our conforming VIN number, our FMVSS decal, and our fully compliant safety equipment. Our LSV is licensed and registered for road use and is entitled to use the roads and be on the road. In addition, our driver was not at fault and obeyed all relevant traffic signals." Now you have a leg to stand on. Being in accordance of federal safety laws tilts the presumption in your favor. If you shouldn't be on the road, why risk costly litigation by driving a vehicle that shouldn't be there. You will loose even if the accident is not your fault. Can you run them 24/7? Yes, they never get tired or need time off. We have a prison system that uses Shuttles LS vehicles to patrol their grounds. 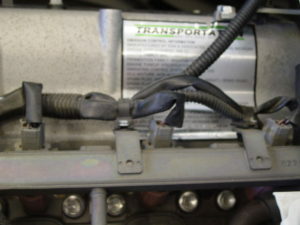 The vehicles only shut off once every 65 days when they bring them in to have the fluids changed. How fast will an LSV/MSV go? It depends on your state law, but many states follow Rule 500 and that means they go 25 MPH, if they comply with Federal Motor Vehicle Safety Standards, Part 500 for Low Speed Vehicles. An MSV or Medium Speed Vehicle will go up to 49 miles per hour. You mean they have a governor? Yes, they are electronically etched so they will not exceed any maximum speed set. The governor is permanent and cannot be changed by the purchaser. Can you change my LSV so it goes faster than 25 after I buy it? The rules also prevents us from making your LSV go faster than the mandated limits after you buy it. Please don’t ask, you will get the same answer no matter how many times you ask. If you buy a LSV or MSV, please plan on it for local use only. Funny thing is 25 MPH or 21.72 nautical miles per hour is the same speed that the container ships travel at to go from Japan to the US and they cross the Pacific (8600 miles) in two weeks. How are they better than an electric vehicle? They can run 24/7 and do not need time to recharge. One vehicle can be used around-the-clock. They do not suffer from a reduced power when under a load or going up a hill. They are available with Heat and Air Conditioning. They are available with Four-Wheel-Drive and All-Wheel-Drive. They are available with hydraulic dumping boxes that have a 15 second dump cycle. 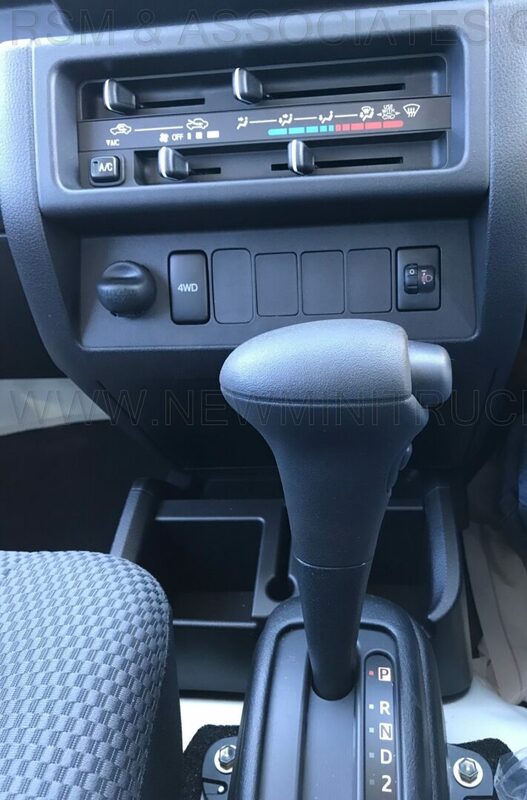 They are equipped with a wipers, power steering and brakes as standard equipment. You do not have to budget several thousand dollars to change the batteries when they eventually fail. What do you need to do to get a license plate to drive an LSV/MSV on the road? If you buy a LSV/MSV from us we absolutely guarantee you will get your vehicle registered with license plates to drive it on the road or we will give you your money back. I have a manufacturing facility and I need the vehicles to go the same speed as a fork lift. Can you do that? Yes, we can set your vehicles' speed to match the speed of your forklifts. We completely understand that buying over the Internet from someone you don’t know can sometimes seem scary, but the benefits are many. First, we provide a two year power-train warranty on all vehicles four or less years old and a warranty is available for all vehicles we sell. 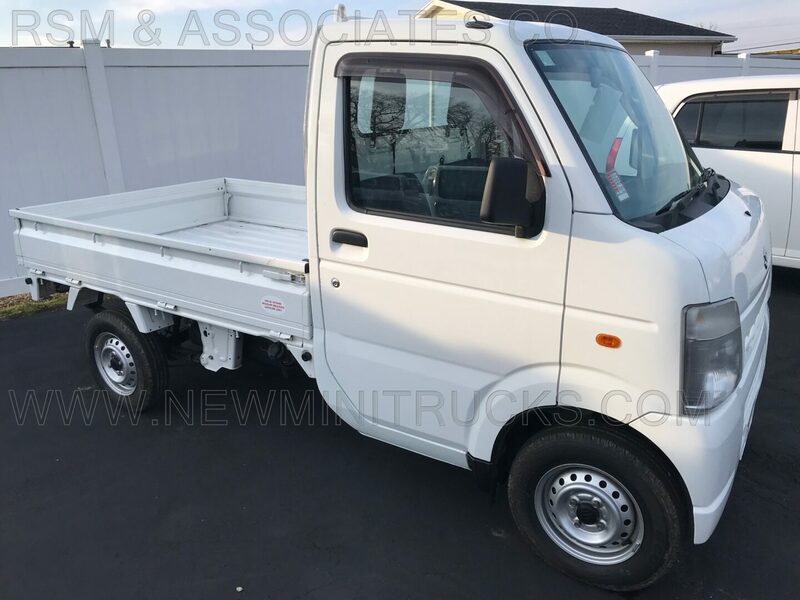 Second, we are pioneers in this business having been the first company to EPA certify new mini trucks for import. Third, we can service anything we sell and we freshly service all used vehicles before they are sold. Fourth, if you buy a road legal vehicle LSV or MSV and you cannot get plates for it, we will buy it back from you and give you 100 percent of your money back. 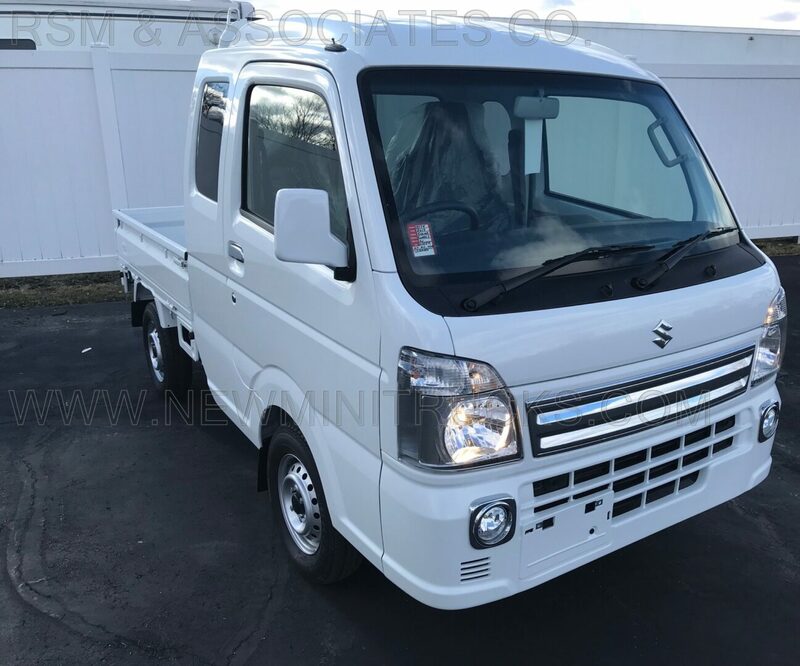 Lastly, we are among the longest serving businesses selling and importing new and used vehicles from Japan since January of 2006. RSM values and appreciates our customers, and we do everything we can to create a positive buying experience. Our photo gallery shows the types of vehicles we design and build for our customers. We will start to add our customer submitted pictures to the new site soon. We are the only dealer in the nation that provides an owner’s manual written in English for all of our new vehicles. We also provide nationwide delivery for $494. At RSM, our extensive product knowledge and selection gives you a wide choice of vehicles to fit your needs. Our customers know they are making a wise purchase decision when buying from us. Our customers also know we do not sell marginal vehicles and that they receive only the best quality product, backed by a full two years of warranty protection. Thank you for considering RSM & Associates Co. for your Low Speed Vehicle and Medium Speed Vehicle needs.